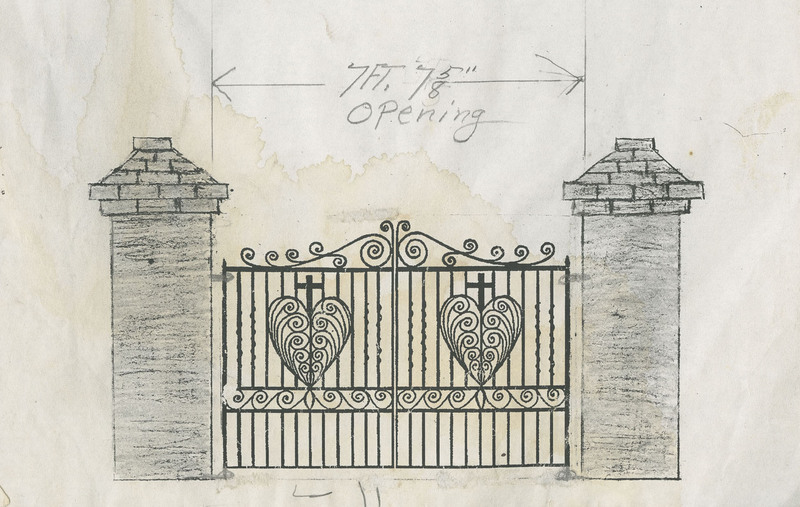 Garden gate sketch ("Opening"), Philip Simmons, 91 Anson Street, Charleston, South Carolina, ca. 1995, Philip Simmons Collection, courtesy of the Avery Research Center. 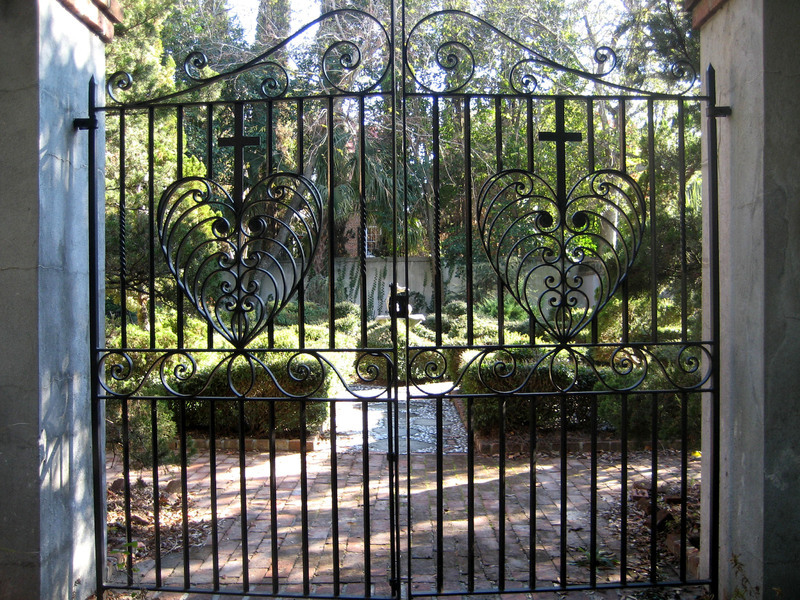 Garden gate, built by Philip Simmons, 91 Anson Street, image by Bradley Blankemeyer, Charleston, South Carolina, November 2013. 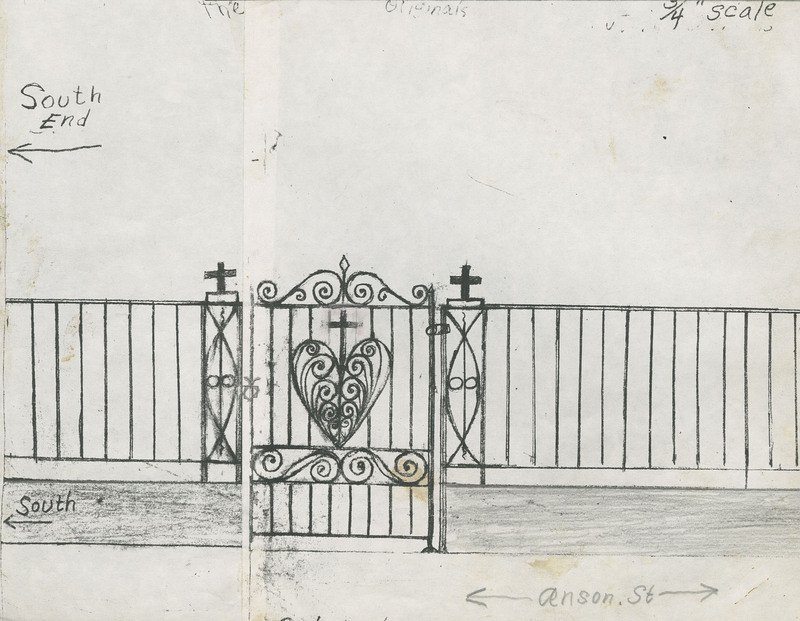 Sketch of 91 Anson Street gate and fence, Philip Simmons, Charleston, South Carolina, ca. 1997, Philip Simmons Collection, courtesy of the Avery Research Center. 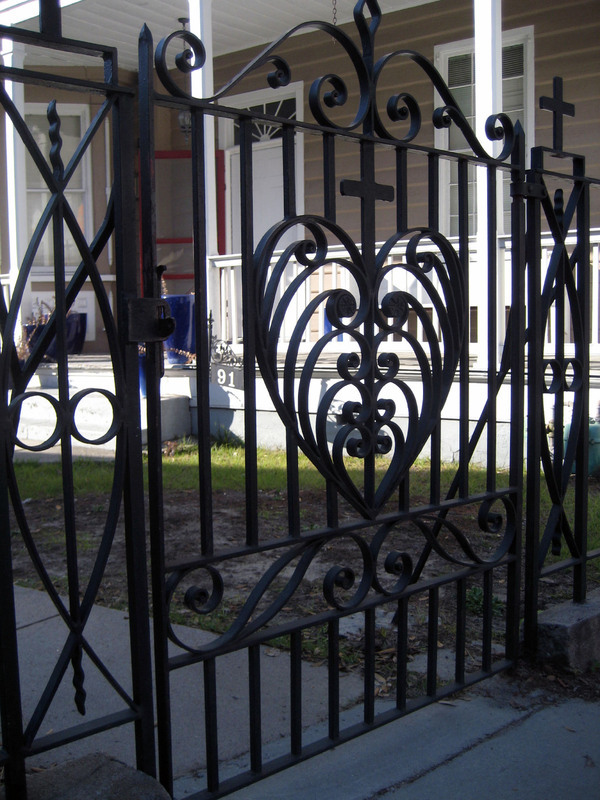 Front gate, built by Philip Simmons, 91 Anson Street, image by Bradley Blankemeyer, Charleston, South Carolina, November 2013.